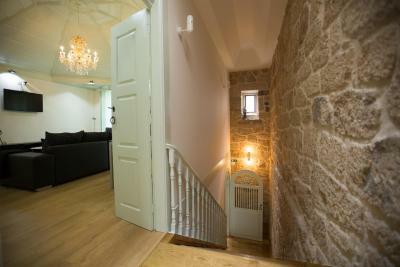 Lock in a great price for Douro Village Hostel – rated 9.3 by recent guests! sparkling comfortable, friendly staff, excellent location. It's also less than a block away from my favorite restaurant in ALL of Portugal. It's a small no-name, no-frill joint with a green door. Ask the staff about it. 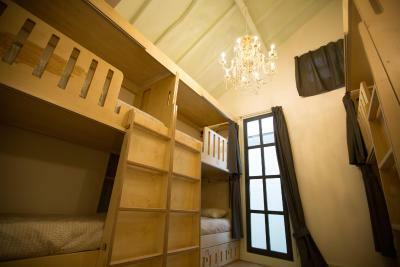 a really beautiful hostel. Recently renovated. The shared room was fine. there is a lovely courtyard. I used it as my launch pad to see douro valley. 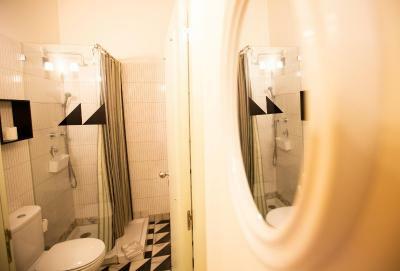 Clean, decent shower, there are privacy curtains for each bed, lockers for everyone, decent kitchen, nice interior.. cozy place for fantastic price! Everything was great , from the facilities to the wifi connection. The hostel is really in the city center where you can find all kinds of shops and restaurants. 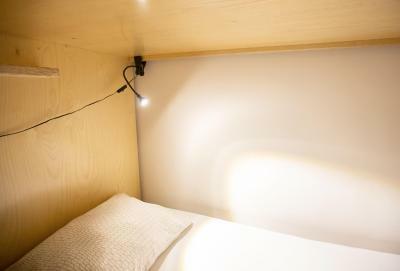 It is very comfortable and private even though that I was in a room with 8 bunk beds, every bed had its own lamp and plug which is a plus. The hostel was very clean and tidy! Overall was an excellent stay! We found a epic kitchen ... honestly you had everything what you could think of. One highlight for us was the really friendly staff and everyone spook a proper english. The sitting areas we´re perfectly designed and cleaned dayly. Surprising for us was as well that the staff also made coffee and served food to until late in the evening. 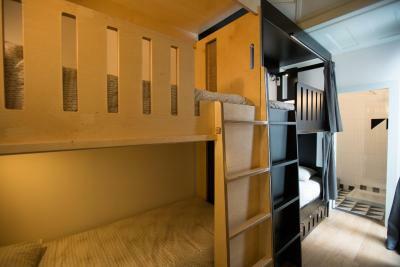 Os funcionários são muito educados, o hostel é lindo, os quartos são muito confortáveis, roupa de cama limpa, boa cama, banheiro bom e limpo também. Boa cozinha que podemos usar. Há um lindo jardim com algumas mesas, penso que seria ótimo pra um encontro de amigos. Tudo perfeito! Desde a localização, conforto, limpeza, recepção, simpatia, pequeno almoço e finalmente preco! Recomendo! E acrescento...muito bonita a decoração! Featuring a garden, a terrace and a shared lounge, Douro Village Hostel is located in Vila Real and is 3.1 miles from Mateus Palace. Guests can use a bar. 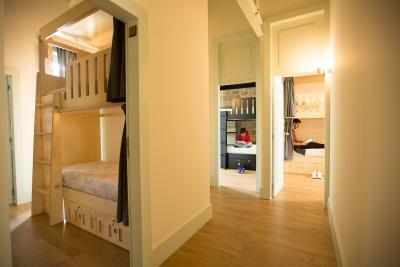 With a private bathroom, rooms at the hostel also offer free WiFi, while some rooms also feature a garden view. The nearest airport is Francisco Sá Carneiro Airport, 59 miles from the property. 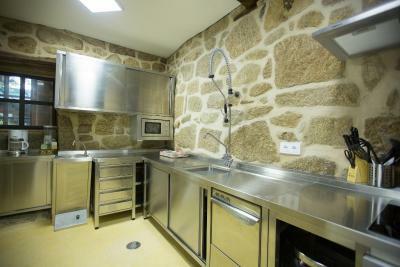 This property also has one of the top-rated locations in Vila Real! Guests are happier about it compared to other properties in the area. This property is also rated for the best value in Vila Real! Guests are getting more for their money when compared to other properties in this city. 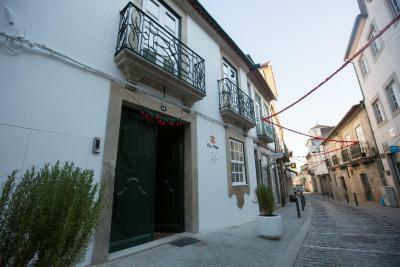 When would you like to stay at Douro Village Hostel? House Rules Douro Village Hostel takes special requests – add in the next step! Please inform Douro Village Hostel of your expected arrival time in advance. You can use the Special Requests box when booking, or contact the property directly using the contact details in your confirmation. Excelente hostel, aconchegante e charmoso. no towel, no heater in the room (living room had a heater so it was warm and comfortable), but the room did not have any heating, no soap, no shampoo. Besides that everything was great. the air conditioner was so cold that I couldn't sleep the whole night had to go out of the room and sleep a bit in the sitting room. No body told me how to use control the air conditioner and in a room of 6 seemed that the others had already adjust the temperature. This was really unpleasant thought was falling sick after that night. I found the hostel was a bit expensive specially by the fact that it didn´t have breakfast integrated in the stay. Our room was pretty small for four people and the bathroom window looked straight into the kitchen. Well both things are not that bad because you were able to close the curtains and just spend time in the sitting areas.